If you would like to meet Latin girls and guys who are living in USA, Mexico, Central America or South America, Latin American Cupid will be a good option for you. You can meet with several people from different countries on the website. There are generally Latin girls and guys from USA, Colombia, Peru and Dominican Republic on the website. There are also many people from other countries too. You will have a chance to create relationship with this service. This is a service of Cupid Media and it’s a trustworthy service. 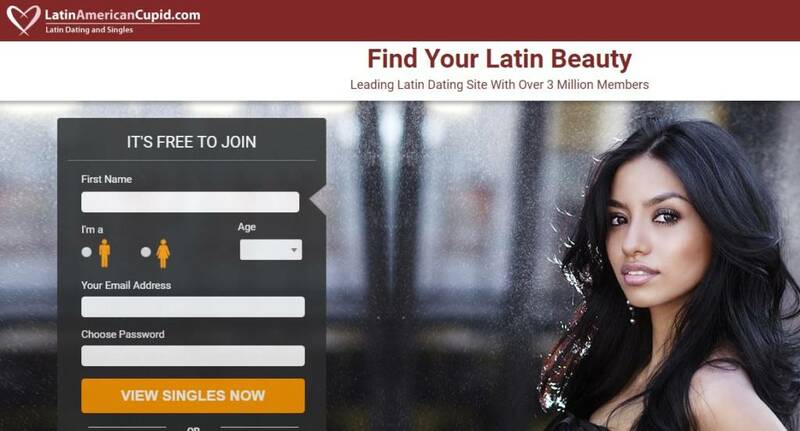 It is a good Latin dating website but latinamericancupid.com is a paid service. If you are seeking for a free one, you should take a look at alternatives. You can read our dating review for the website and add your own experience and thoughts for Latin American Cupid on here. If you want to meet Latin singles in other dating platforms, you can also find many alternative ones on our website. There are many language options. It is highly likely that you can use your own language. You can live chat with people. There are webcam chat and text chat features. There is web traffic from targeted countries. Especially you can meet Latin singles from USA, Dominican Republic, Colombia, Mexico and Peru on Latin American Cupid. There are good discounts for long term memberships. If you want to see online members, you can do it. You can chat with them or you can send messages online people. You will hardly meet scam or fake profiles since the website is paid service and a trustworthy company owns it. You don’t need to be citizen of a Latin American country for register. You can register from any country on the world. There is no geography restriction for join to the website. The website is good for Latin dating. Good search and matchmaking features on the website. While we test the Latin American Cupid, free account features didn’t satisfy us. Add your reviews and thoughts for Latin American Cupid.